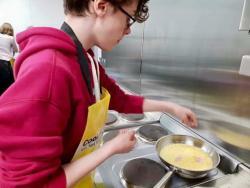 Recently, some young people have got together to demonstrate their skills in the kitchen, and what skills they have…. parents, time to hand the oven mitts and dishtowels! They have been working with Barbara, the Health and Lifestyle facilitator from the Health Improvement Team at the Belfast Trust who, as part of ‘Let’s Get Cooking’ programme, works to provide people with opportunities to develop their cooking skills. 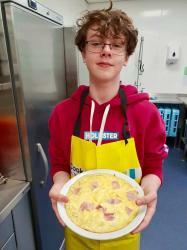 The young people choose and create their own low cost, healthy lunches, with prices ranging so far from £1 - £3. 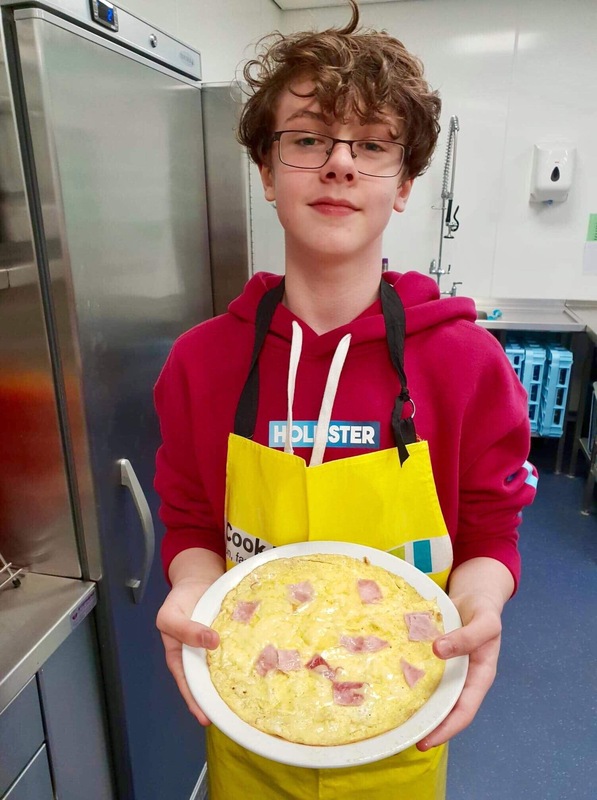 Their delicious lunches have included home-made pizzas, club sandwiches and filled omelettes, with baked potatoes next on the list. 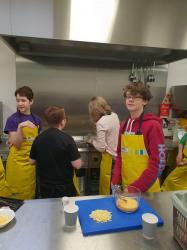 And there has been lots of washing up! The group meet fortnightly thanks to a local Church, Willowfield, who have kindly provided them with their new kitchen area.